Starting as a cast member and soloist during his college years, Hamilton has played many roles, onstage and off stage. 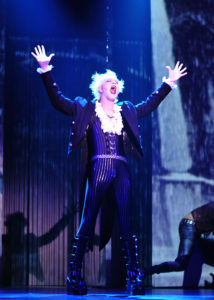 He played Riff Raff in the company’s first production of The Rocky Horror Show and has music directed four subsequent productions. He’s also been an audition accompanist, pit musician, music director, and actor in many productions, at the Civic Center, Plaza Theatre, and even at Lyric’s original home, the Kirkpatrick Auditorium at Oklahoma City University (OCU). With every theatrical production, there are challenges. 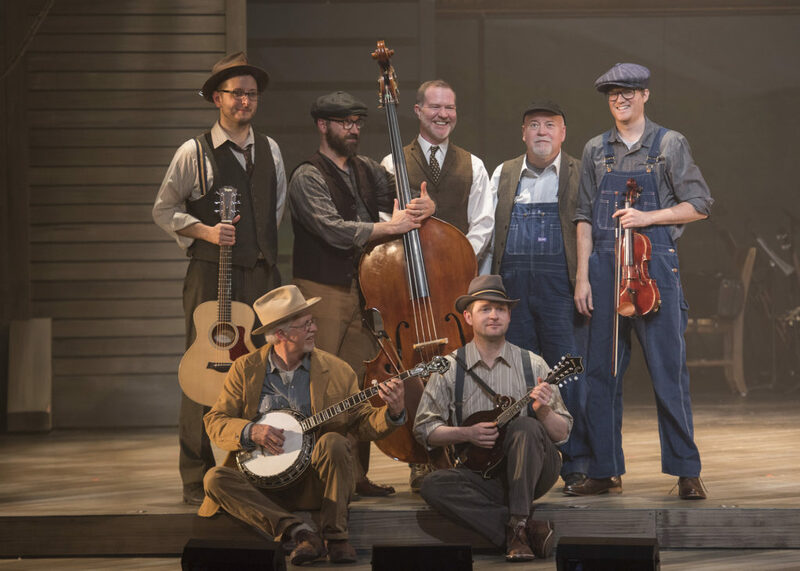 With Bright Star, one issue was finding a banjo player who could read music. Many professional banjo players in central Oklahoma are self-trained or play by ear. They are not accustomed to learning music from a printed score. So Lyric had to find just the right performer to join the band Hamilton would music direct. Hamilton noted that popular bluegrass music is slightly different from a Broadway musical score. “In a theatre piece, you have to theatricalize a style of music,” he explained. “There’s a song called ‘Ashville’ that Margo sings, that changes meter. If you don’t have a player that reads music, it becomes problematic.” Ultimately, the company found a terrific banjo player that does not regularly read music but keeps time very well. The results are impressive, and transport audiences to the Blue Ridge Mountains of North Carolina at every performance. Hamilton’s education reads like a “who’s who” list of well-respected Oklahoma institutions. 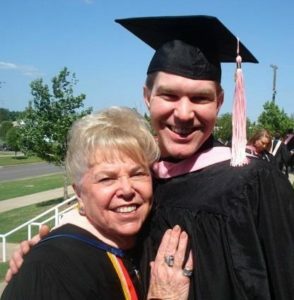 He got a bachelors degree in Music Theatre from the University of Central Oklahoma (UCO), studying with the founding Lyric Theatre performers Kay Creed, Tamara Long, and Carveth Osterhaus. After a few years in New York, he felt Oklahoma calling again. “I would come back every semester to do Surrey Singers at OCU. Our dearly beloved Enoch Elms passed, and they needed a music director for Songs for a New World really fast. I wasn’t doing anything, so I came back and also was a vocal coach that semester. “I played for [legendary voice teacher] Florence Birdwell, at OCU while I was in school at UCO, and I would laugh and laugh because she’s the funniest person on the planet. But I wasn’t listening to her technique. Then I saw Kelli O’Hara on the Tony Awards signing from The Light in the Piazza, and thought, ‘How does she look like she’s just talking but sounds like she’s using every fiber in her body?” So he began studying voice with Birdwell, getting a masters degree and joining the faculty as a voice teacher. He emphasized, “I worked at OCU for 10 years, and they are a huge part of my family.” Currently, Hamilton serves as Lecturer of Voice at The University of Oklahoma. Speaking more about Bright Star, Hamilton had nothing but wonderful things to say about one of the show’s actors, Bligh Voth, who plays the lead role of Alice Murphy. “I fell in love with her when she did Big River five years ago. She’s perfect. Her biggest idol is Dolly Parton, so to sing this bluegrass music is what she grew up with; it’s what she sings naturally. I’ve had at least 25 people say to me “She’s amazing!” and the first thing I say is she’s just as amazing off-stage. Lyric’s BRIGHT STAR runs April 3 – 28, 2019, at Lyric at the Plaza! Tickets are available at www.LyricTheatreOKC.org/Bright-Star or (405) 524-9312. What is the three letter abbreviation for Oklahoma City?